Link building is hard. Before taking the first steps in what can be a difficult process, you have to communicate its value to your client. Depending on your audience this can be quite the undertaking. I often use the popularity contest metaphor; ranking on Google is determined by how many votes you get, and those votes are links. Getting traffic from links is great but making the distinction that they have more than that purpose can be a leap for a lot of people. Once you have buy in on the value of link building, you can get down to work. Depending on the savviness of your client’s previous team, or lack thereof, you may want to start grabbing low hanging fruit. I’m not a big fan of directory submission without a plan e.g. a software solution or outsourcing, but some verticals actually do have great repositories of information and getting a link from them can be invaluable. It takes time, patience, and research to curate lists of these link opportunities, but it is worth the investment. If you are link building for a site that is tied to a brick and mortar location you can you can hit two birds with one stone and build some links and grab some local citations at the same time. Local citations are the sites that allow you to list your URL and address info, think Yelp and Merchant Circle. This is not a local SEO post so I won’t get into detail here. Once you have built yourself a solid foundation of back links you can move onto more advanced techniques. These include, but are not limited, to guest blogging (if you have writers), infographics (if you have design resources), building linkable assets, traditional PR techniques, leveraging existing relationships, and above all building new relationships. 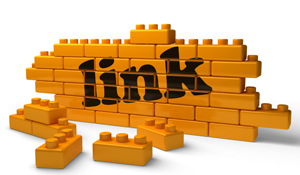 Building relationships is often cited as the most necessary component of link building. Behind every site is a human being and to get links from the most relevant high value sites you need to start a dialogue with those individuals. This will take some personalized emails (no form letters please) and maybe even a phone call <gasp>. Networking has never been bad for business so get out there, meet some people, and build some links.